Edinburgh Performing Arts Development (EPAD) is a capacity building project for Edinburgh’s independent performing artists and producers that provides support by identifying and promoting opportunities to connect people’s needs with existing provision, and plugging gaps. There are opportunities for independent artists and companies working in the performing arts sector to access short-term advisory sessions, longer-term mentoring, targeted interventions and bespoke training. We initiate relationships that enable the city’s more experienced performing arts producers and practitioners to support those with less experience or working independently and with access to fewer resources. Here is the round-up of events over the next couple of months. 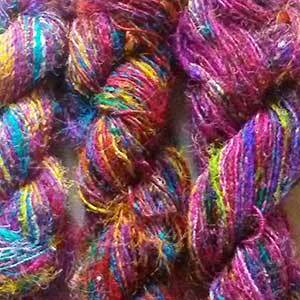 Here on the third floor we are a hive of activity preparing for the Makers’ Fair this weekend. We can’t wait to share the festive spirit with you all! FREE ADMISSION // Creche for 1-8 year olds // Handcrafted gifts in all 3 galleries! 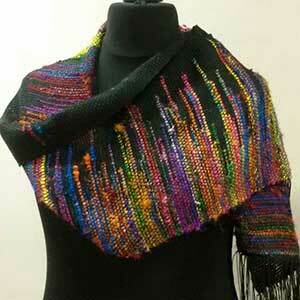 What is more personal than a handmade gift, crafted by a local artist? 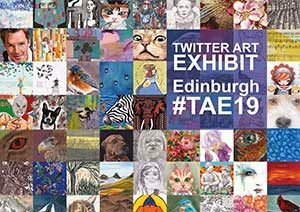 Beautiful handcrafted items will be on sale, all made by Edinburgh Palette tenants, with a wide selection of textiles, paintings, jewellery, prints, and pottery exhibited in all 3 galleries. More than just a line-up of stalls, the Makers’ Fair is a high quality common curated show you can enjoy with friends and family. Help us spread the word by joining and sharing our Facebook event. 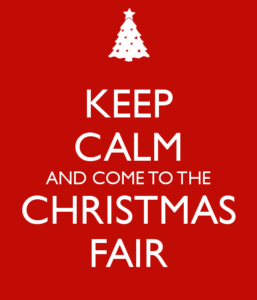 The Sick Kids Friends Foundation are organising a Christmas Fair at Meadowbank on Sunday 27 November, from 11am until 4pm. 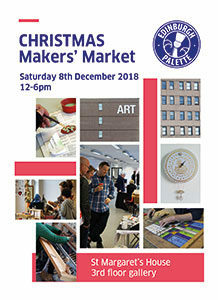 Apply for a craft makers stall – only £50 each. We have previously had over 2,000 attendees. Christmas shopping and a family day out rolled into one. There’s arts, crafts, refreshments and festive entertainment, all in aid of the Sick Kids Friends Foundation. 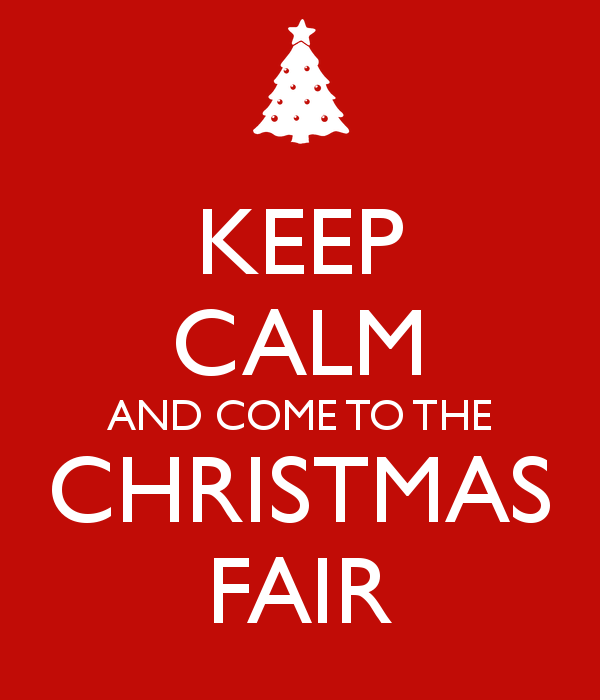 There will also be children’s entertainment at the fair, including Santa’s Grotto, Bouncy Castle and Facepainting. A rare opportunity to buy work by Rona MacLean, Dipa Ward, Karen Hibbert Deb Ball, Keith Robinson and Jane Buxton.